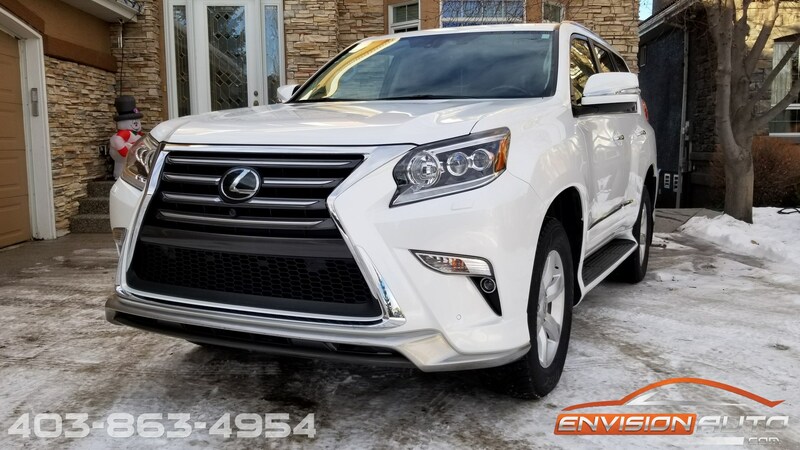 2017 LEXUS GX460 TECHNOLOGY PKG \ 2 SETS WHEELS \ FULL 3M WRAP! Color : –Starfire Pearl White Ext. w/ Black Leather Int. 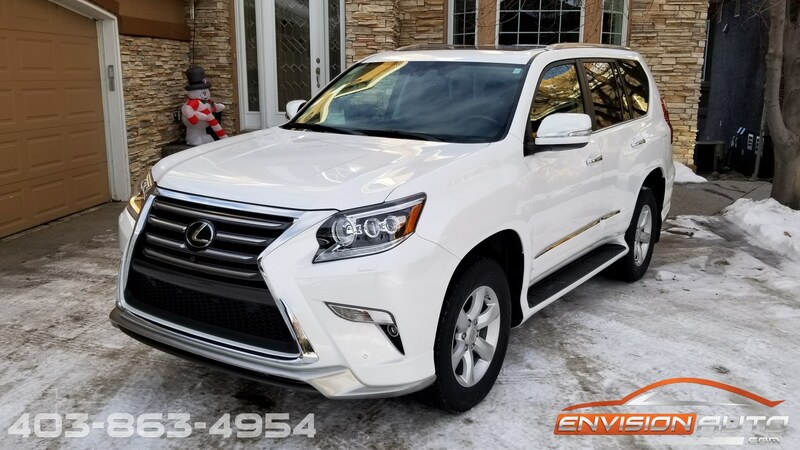 -> BRAND NEW Winter wheel and tire package – OEM Lexus wheels! More Details : – TECHNOLOGY PACKAGE \ SEVEN PASSENGER \ LANE DEPARTURE \ RADAR CRUISE \ HEATED AND COOLED SEATS \ FRONT AND REAR OVERHEAD CAMERA \ PARK ASSIST \ TWO SETS WINTER AND SUMMER WHEELS AND TIRES \ FULL COMPLETE FRONT CLEAR XPEL FILM WRAP \ SPOTLESS LOCAL ONE OWNER HISTORY \ ONLY 27,500 KILOMETERS! 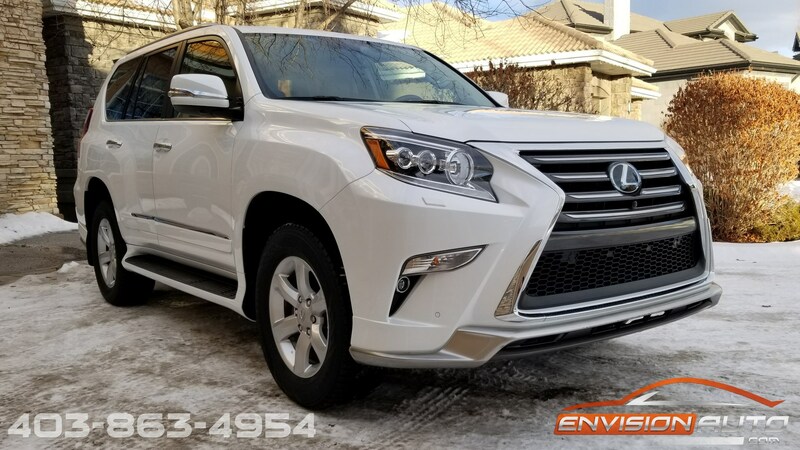 Absolutely immaculate, single local owner, previous lease return Lexus GX460 technology package in stunning starfire pearl white metallic over black leather interior. 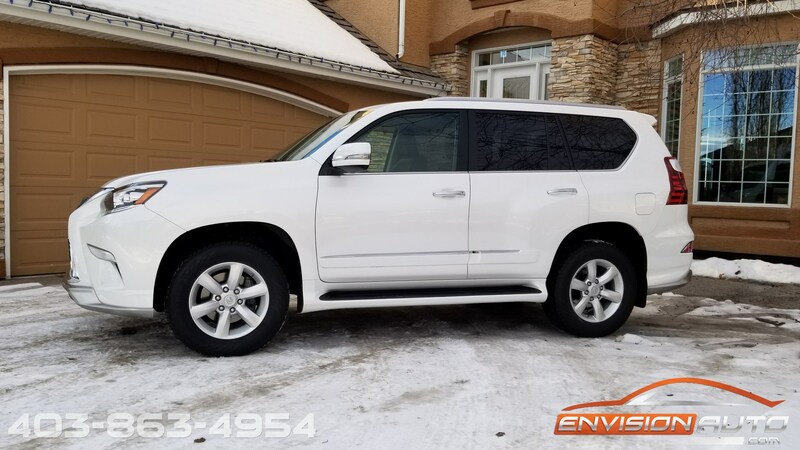 Just fitted with a BRAND NEW winter wheel and tire package with BRAND NEW top rated Nokian Hakkapeliitta Winter Snow and Ice tires mounted to OEM Lexus factory 18inch wheels – valued at over $2,500. Also comes with original factory oem gunmetal grey lexus wheels and all season tires. 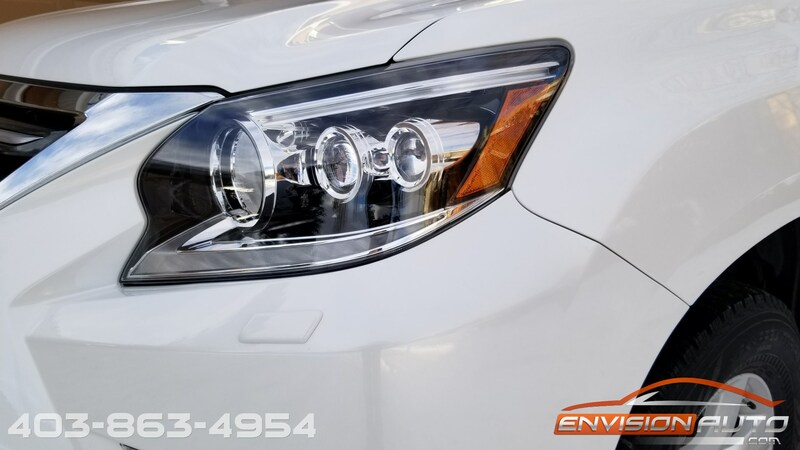 Complete entire front clear self healing XPEL film wrap JUST INSTALLED covering the entire hood, the entire fenders, the entire front bumper – valued at over $2,000! 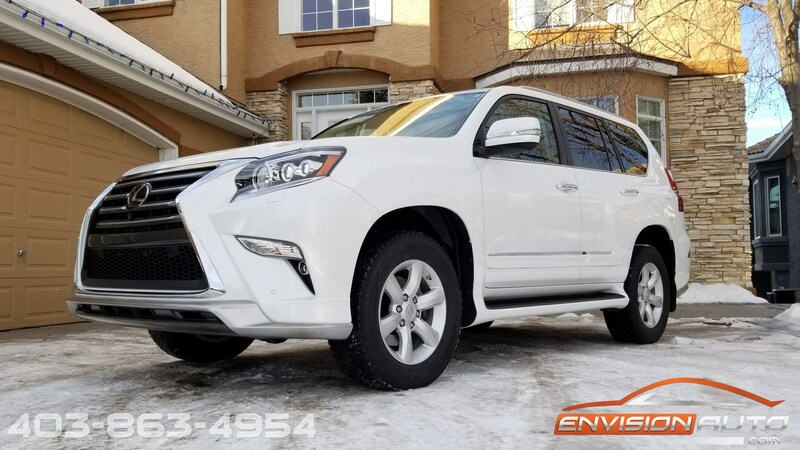 This stunning Lexus GX460 is a local one owner previously leased vehicle that has only been registered in Alberta since new. 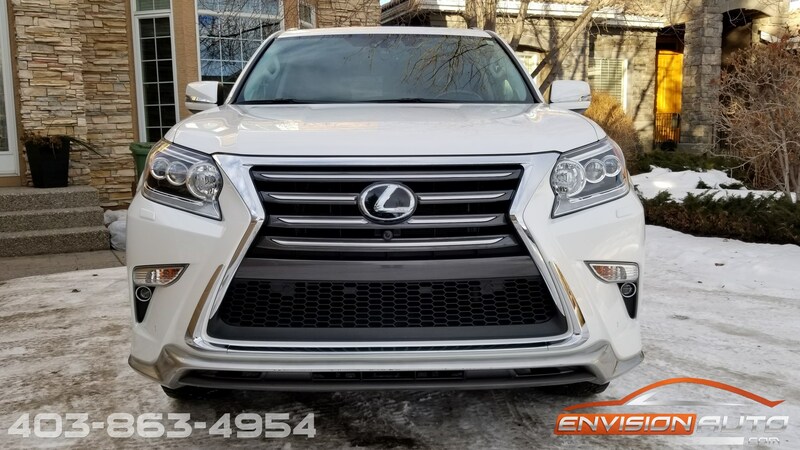 There are no prior accidents, insurance claims, or estimates on the Lexus’ history as per the CarFax Canada history report. We have just passed the Lexus through a comprehensive 200 point Mechanical Fitness Assessment with it coming back clean without any concerns.